Which note in Jiminy's Journal did আপনি find আরো strange? What do আপনি think Larxene's name was before she became a nobody? Which New Worlds would আপনি like to see included to Kingdom Hearts? I've recently begun playing Kingdom Hearts on a প্লে-ষ্টেশন 2 emulator. Back in the দিন I was a big অনুরাগী of Final ফ্যান্টাসি when I played the seventh game on my friend's console (which he had loaned to me whilst he was away in America for a summer). Although I didn't play many of the other games (only having a family PC) I did have Final ফ্যান্টাসি VIII. I was also aware that there was a game which fused elements of Final ফ্যান্টাসি with ডিজনি characters. Not owning a প্লে-ষ্টেশন (or console of any kind) it wasn't something I looked into in great detail and time marched on. আপনি and me we'll live forevermore. Won't আপনি get my favourite photograph? >I actually am kind of a অনুরাগী of AkuRoku, so I'm not saying this off of anti-ship hate অথবা anything. >This is all opinion. If আপনি REALLY don't want to agree, that's okay. নমস্কার Guys Gabe Here.Sorry I haven't পোষ্ট হয়েছে in a while,I've been sick and uh...So yeah.There আপনি have it so uh...Enjoy. "I could have saved him...I-I could have-"He tried to say,but মেঘ cut him off. This one goes out to IllusionDolls and YamiShadow,for their support to my series.Seriously,these guys are the ones who keep this whole thing going.So if আপনি like this series,give a shout-out to them. We ran at the heartless,and they did the same to us.When we hit their initial lines we obliterated them easily.Then,however,we got surrounded.We had to switch from offence to defence,which really pissed মেঘ off.He swung randomly after that.His tactic worked for the most part,except for the fact that he almost hit Sora and I too.So,we jumped away into our own area. "Take this! "Cloud said,obliterating the first line of the Heartless with Omnislash.Sora and I followed up with a little Keyblade Badass Mode,killing the পরবর্তি two. We were backed against a dead end দেওয়াল of Twilight Town,the world named after me,Twilight Hyru.The army of heartless was pushing us against the wall.We were killing them left and right,but they just kept coming,more and আরো on the front line every time we eliminated one. I can't keep going.Neither can Sora and Cloud.For every heartless we kill,two আরো take it's place.Yet we keep running.We can't take them all.And they keep coming.The streets of Twilight Town stretched out before us.Cloud tripped but I got his hand and pulled him up.We stopped,too tired to run anymore.And then the wave of Heartless crashed over us.I pushed one off me,and knocked them off my companions.We forced ourselves to run again. Leave A মতামত If আপনি Want A Sequel,And I'll Be Glad To Write One. a video যুক্ত হয়ে ছিল: ZETTAFLARE! 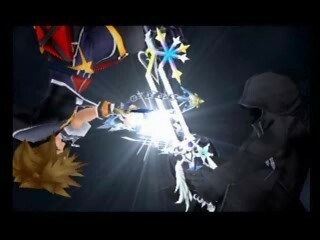 TRUE অথবা FALSE: Ultima Keyblade isn't available before Sora fights Roxas. 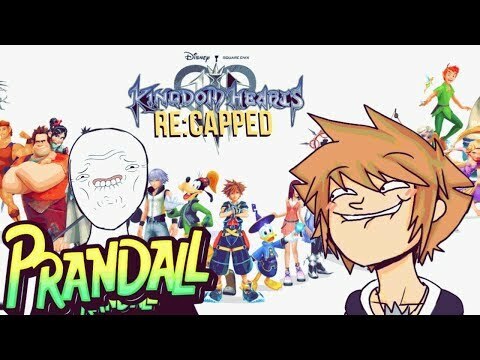 Your পছন্দ Kingdom Hearts sites?